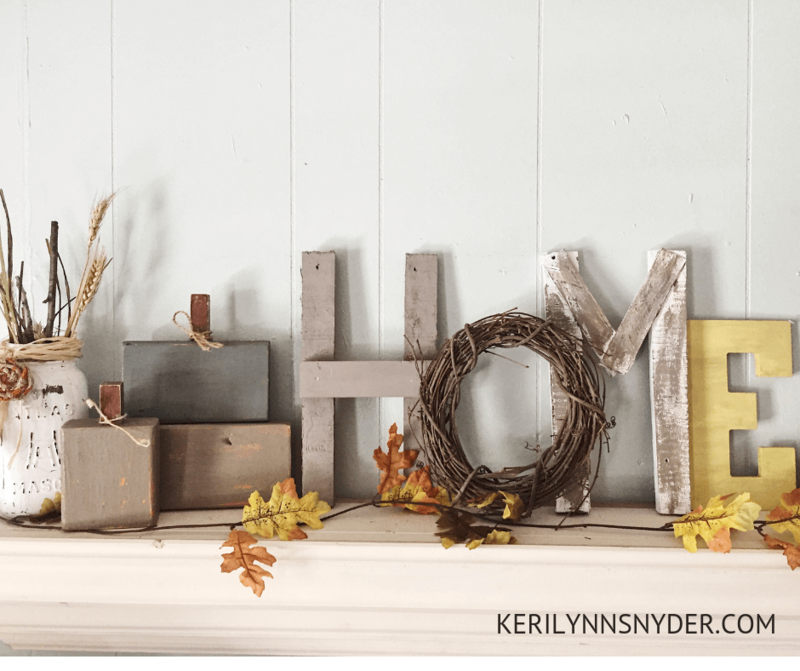 Looking for fall decor? 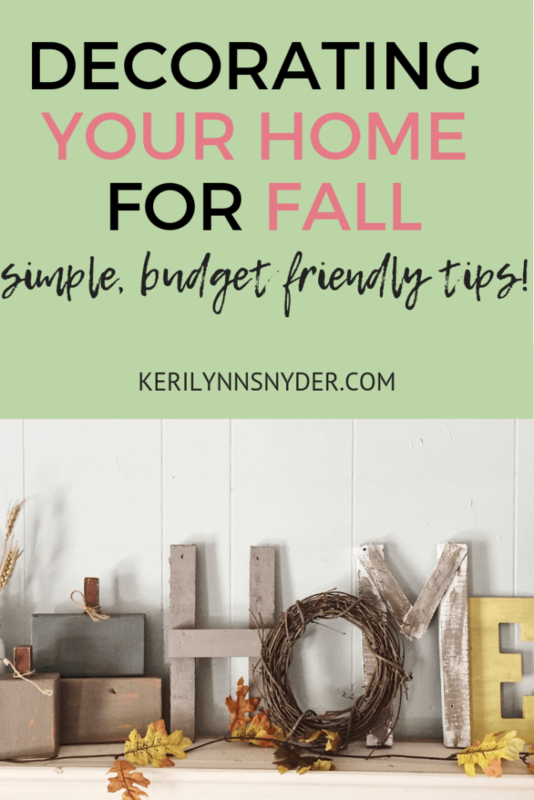 Learn how you can slowly add fall to your home without the stress and a big budget! 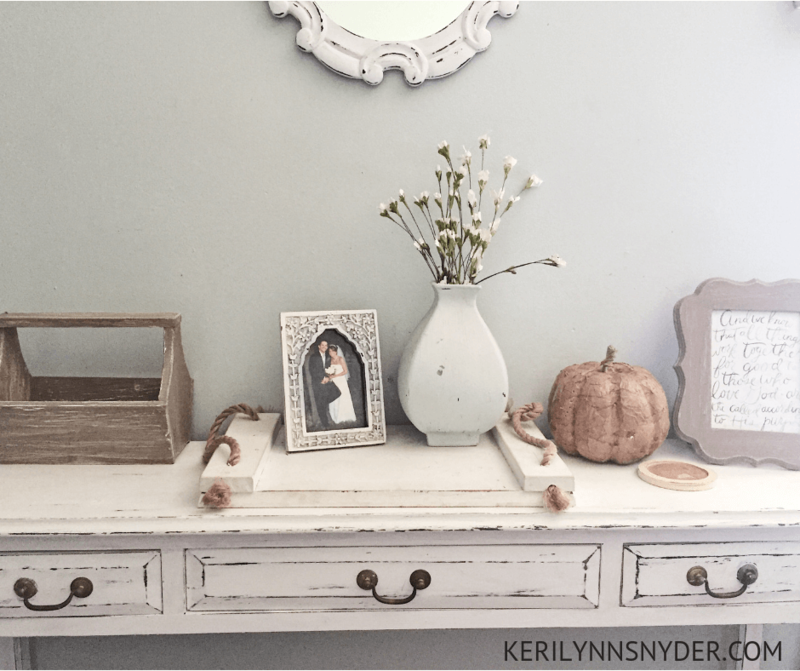 Fall decor has always one of my favorite things about this time of the year. As much as I love summer, I am always ready for a cozier season. 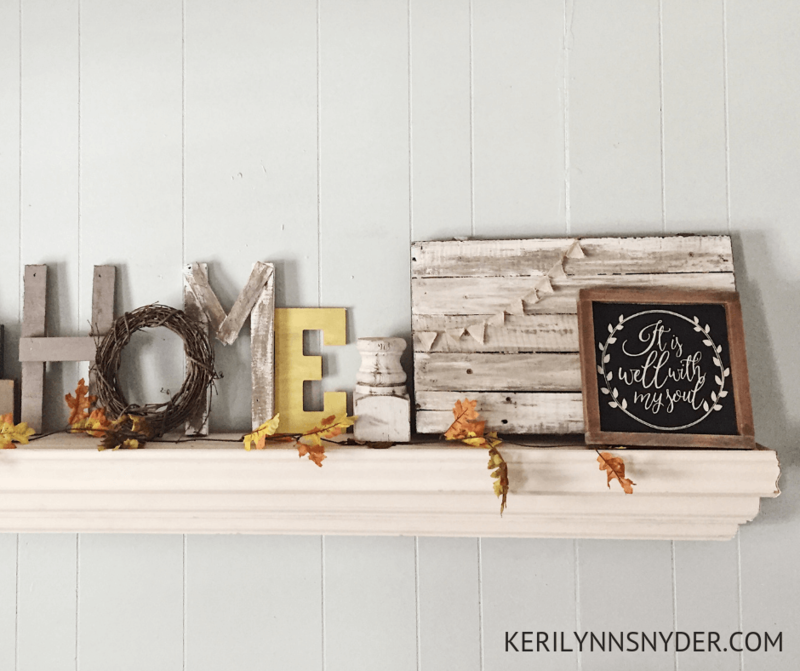 Even though the weather may not feel like fall, I bring the fall to us via our home decor. My home maintains a basic style and then with each season, I like to add in little touches of seasonal decor. Growing up, I loved how my mom would change up the decor in our home for the seasons. Mums still bring me a smile as I think of her decorating the porch with such care and attention. I usually start decorating for fall near the end of September and slowly add in more browns and fall like decor. While there have been some seasons where I love all the orange and reds, lately I have been leaning towards more natural and muted tones. Tired of the color of something? Think about painting it! I keep a plastic bin that holds the fall decor, so I pulled it out earlier this week to see what I add. I have had these wooden pumpkins for almost 6 years now. They were the easiest project! They were originally painted orange, but last year I repainted them. Painting things is how I update our home decor a lot. As my style changes, I just paint instead of buying brand new. Switch out the flowers and check out your local Dollar Store. Slowly, I am switching out the different vases I have around the house to hold either cotton stems or wheat. Since I am not wanting any red until Christmas, I snipped off the red leaves from this garland. It is from the Dollar Store! Take your time decorating for fall. There is no rush. Instead of stressing over getting all of the decorating accomplished in one day, I like to take my time and add a little here and there. Usually, this helps me get creative without feeling the stress of decorating in one day. Yesterday, I switched out this picture frame from the flowery one to a simple black and white script one. Add in a fall candle. One of my favorite fall touches, is a fall candle. I adore a good candle and lately have been obsessed with the candles from Antique Candle Works. 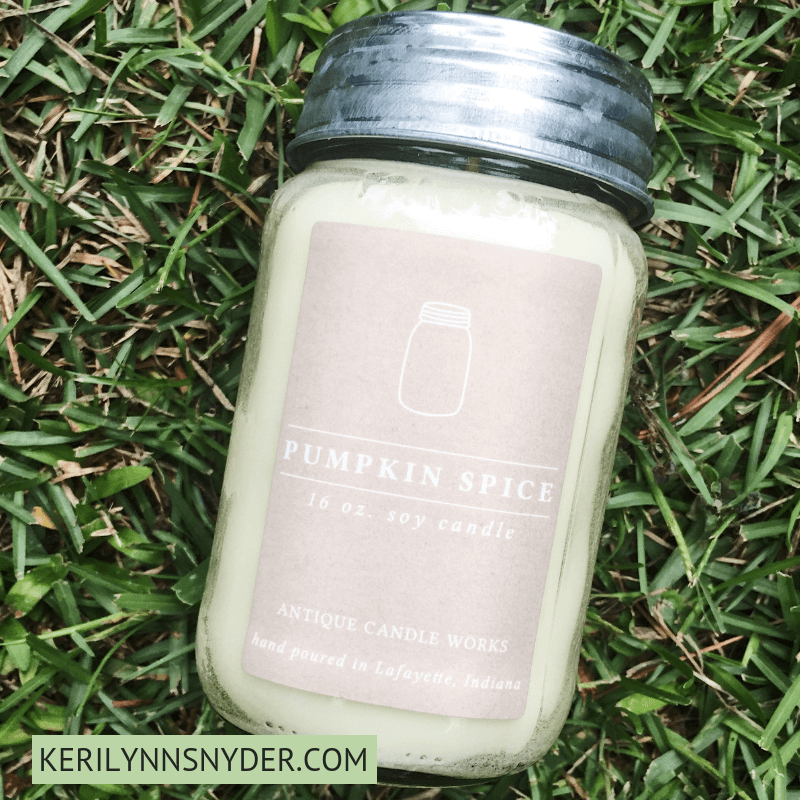 I have Pumpkin Spice and it is absolutely the best smelling candle. I also really love the fall one and purchased that for my sister for her birthday. Decorating for fall does not have to be stressful, expensive, or time consuming. I firmly believe that you can use what you have, switch things around, and have a beautifully decorated home for fall. Need a little inspiration? See how you can get the Nester’s course for FREE! 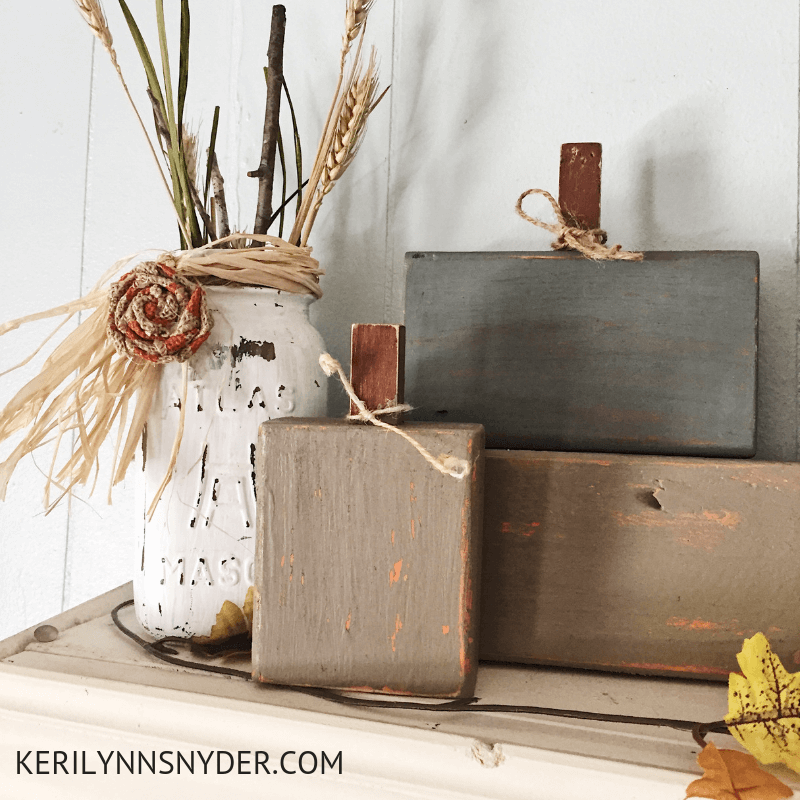 If you need a little inspiration and encouragement this fall and want to decorate with simplicity, you can now join the Nester’s fall class! Right now she is giving the entire FOUR SEASONS CLASS to anyone who pre-orders her next book by October 3! You will get the classes for FREE! The classes usually sell for $29 and now you will get the entire set for free and have instant access to it when you pre-order Cozy Minimalist Home. I am SO excited for this! 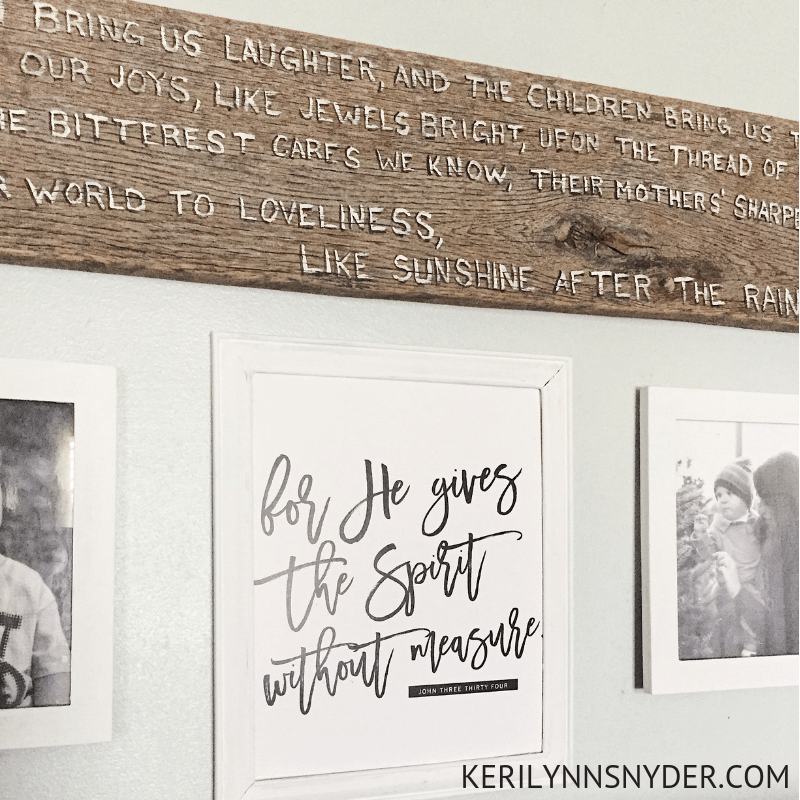 She is my decor inspiration and her first book, The Nesting Place, has had great impact on my life! Check your email to start your class!